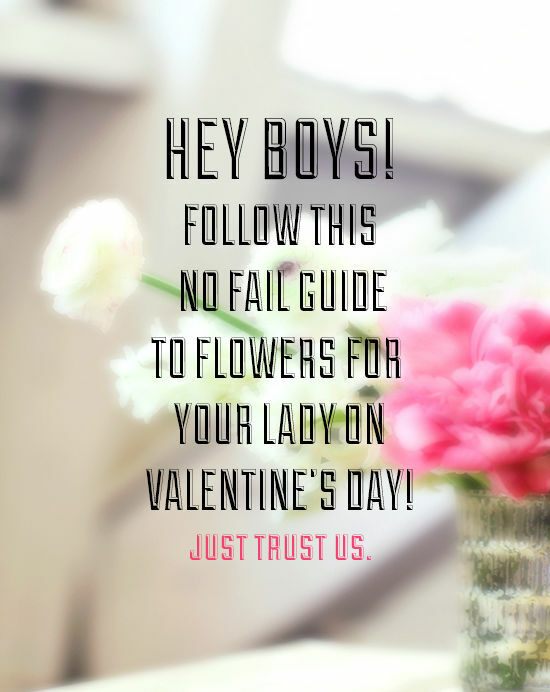 D E S I G N L O V E F E S T » VALENTINE FLORAL GUIDE FOR GUYS! 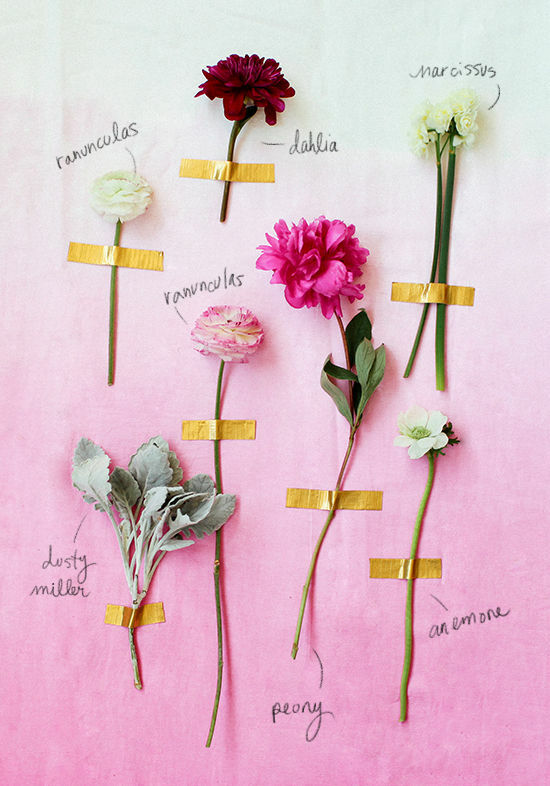 VALENTINE FLORAL GUIDE FOR GUYS! so it’s always very sweet when a guy brings you flowers. but let’s be real here, isn’t it better when you actually LOVE the flowers he gave you? guys need a little guidance every now and then, right? i told arian i loved peonies when we were at the farmer’s market one weekend and when i asked him a few months later if he knew what my favorite flower was he replied… “paninis?” very funny and quite endearing. i really love the bouquet she put together! i would be quite thrilled if arian handed me these on a date -valentine’s day or not! florals by: moon canyon design co.
Love the idea of using seasonal flowers so that every time the season comes around again, you have a sort of sentimental attachment to the blooms! Also, I love the panini story! I’m pretty sure I’d be just as delighted by a bouquet of sandwiches as I would be about flowers. Oh boy! These are too pretty! Definitely a no-fail guide! This is awesome. Have to share! Oh man, you nailed it! Love ALL these! What a gorgeous bouquet! Beautiful and sure to make any girl smile! Haha, that’s so funny what your guy said. I think this is great for guys, especially at this time of year. I feel like most guys just pick roses for their ladies instead of figuring out what the favorite flower is and getting that.. I love this! they are perfect. I passed this along to that boy of mine. 😉 Great/pretty post! Gorgeous. 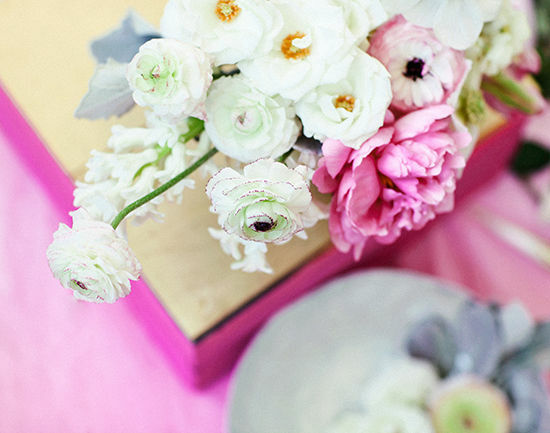 Peonies and Ranunculus were the stars of the show in my wedding day florals. I bet your studio smelled amazing the day of this shoot! BTW, I am exactly like Jen (post #10) about flowers. I get sad when they die. I would be way happier with a succulent! Moon Canyon Design Co… Perfection! These are most of my favorite flowers, but so rarely do I get to see them put together this way. Thanks! all of my favorites in one place! looks great!! Paninis, that made me laugh! 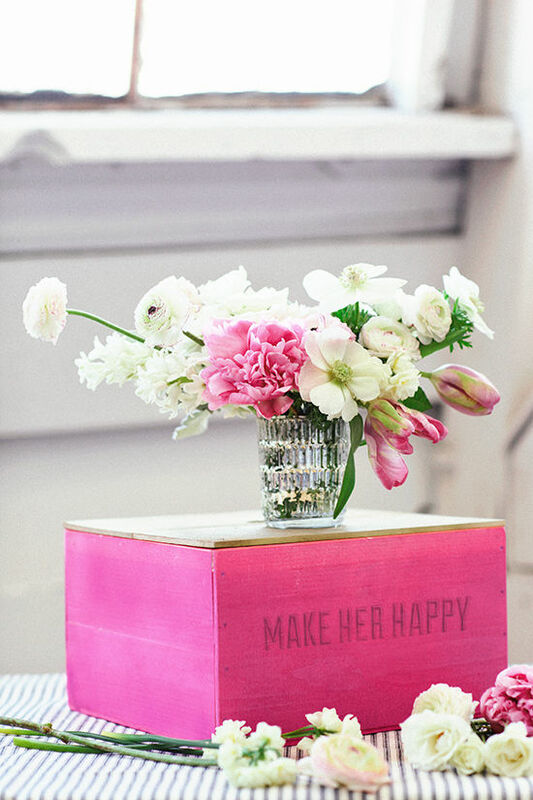 Love this bouquet, because it’s simple and filled with flowers any girly girl would love! hi jen! succulents would also be really nice to get from your guy, i agree. i do find that flowers are always special too, however! succulent are great! and last a looooooong time! cut flowers are special in a way that is fleeting. which is beautiful. 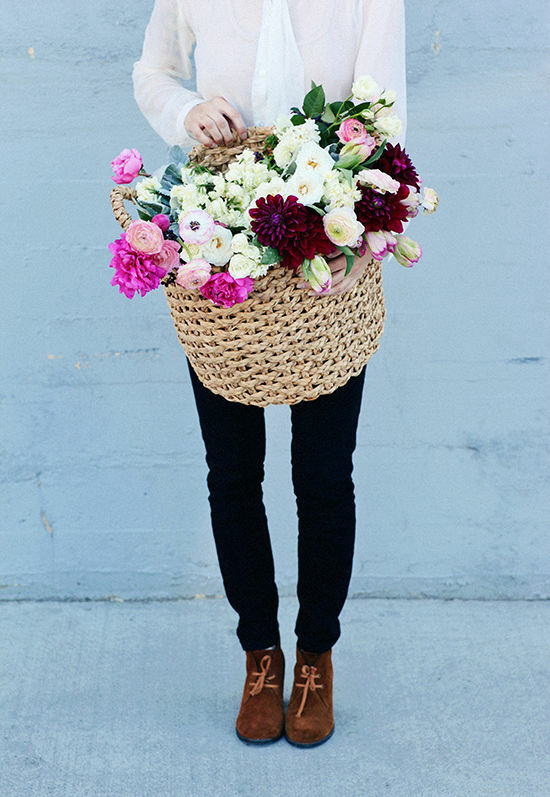 giving a bouquet of cut flowers is perhaps an “old fashioned” gesture. but one I truly adore. classic romance. i am hoping the boston boys follow this advice and come to my floral studio that launched today! love this post. lovely! will definitely have to hint at this post to the bf tonight. last year he got me three different bouquets of different flowers. people at the office thought i was seeing three different guys! hope this year he gets one that’s been nicely arranged so I don’t become the serial dater. Thanks for sharing! Such an adorable shoot! As always, i just love the styling! Bri, I just adore these type of blog posts from you! I would love to find me a gal I could collaborate with to create such fun blog posts & DIYs as this. You two must have so much fun! Such a lovely presentation of the flowers too! Love this! Flowers are such happy-makers. I’m sending this to every man in my life. Fresh flowers are the greatest. Thanks for sharing about the great Valentine’s Day flowers. I hope that I can get some for my fiance. Keep up the great posts. Pingback: Inspiration 05 : Flower Power • The Lovely Dept. 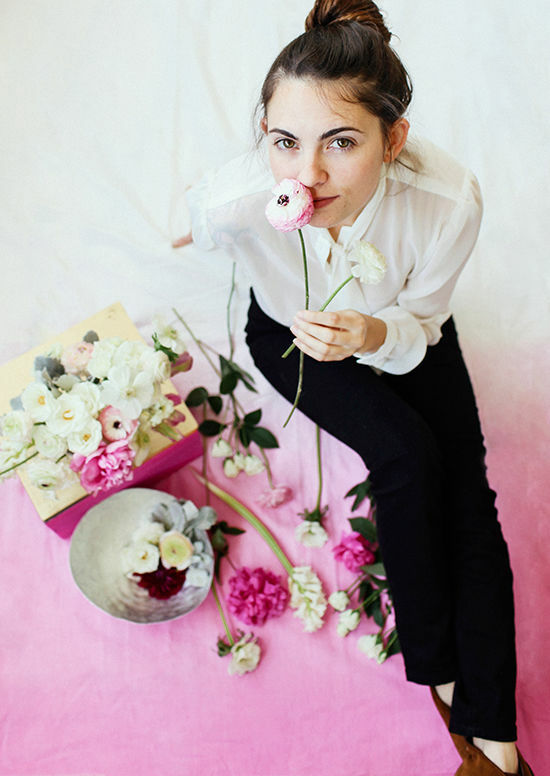 I spotted this floral guide image on pinterest just now and it looked so familiar to me: my mother in law bought a shirt from Zara for my daughter that has a print almost identical to the flower guide pic – same flowers, same layout, same everything (except that they used a pink peony instead of the pink ranunculus and still called it “ranunculas” – ha!). i was just wondering if you were aware of that. I’m seeing stuff being copied or intellectual property being stolen, that i simply get really angry especially when bigger brands do this. So that Fifa 14 knows that you have already reviewed the previous instruction materials, and know how to restore an account. The game is amazing beyond words and should be played by anyone that considers themselves a gamer. create this amazing bomb. Stick clash of clans cheats to the left. just so into this game that I couldn’t give up. an additional three months will be added to the Account Wallet. Most psn code generator Home clubs supress there members. deserves for inspiring many of the worlds famous painters. which come going to be of utmost worth to you. TT Pottery offers Vietnamese wholesale pottery, with large and small garden glazed ceramic planters. Our factories are leading in developing new finishes and shapes. We sell by container/truckload only, ship directly from factories in Vietnam to any store, warehouse in the world. For businesses, please register with us to see all our best factory prices and completed selection. If you are looking to buy less than a container or by pallets or by sets, please contact us, we will refer to our distributors. Perhaps the word which sums up the importance of clash of clans hack to politics will be ‘participation’. you tweak the family settings before they have a chance to play. I include look into large amount of blog sites in addition to gone through many websites,your work happens to be spectacular.Caps off to your responsibility and integrity.Do keep us all stated to at a later date also. I think this iss one of the mosxt important info for me. I’m truly enjoying the design andd layout of your site. more often. Did you hire out a develolper to create your theme? You will need a lot of charcoal to obtain these smoking away and it is actually not worth your money and time.